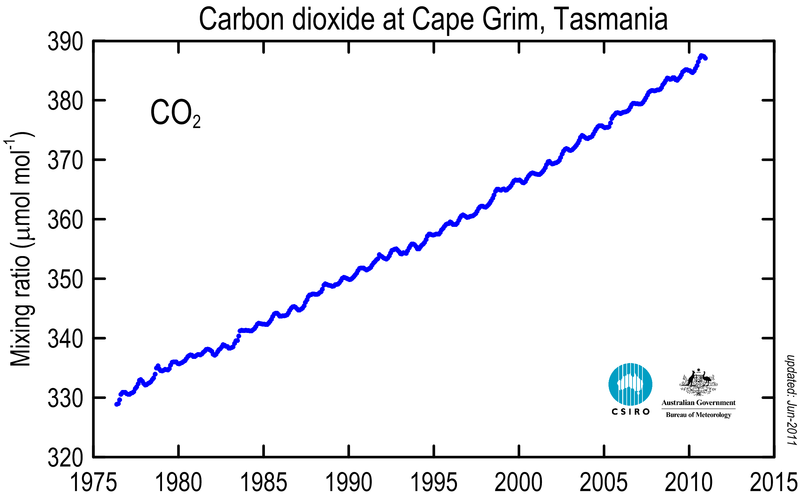 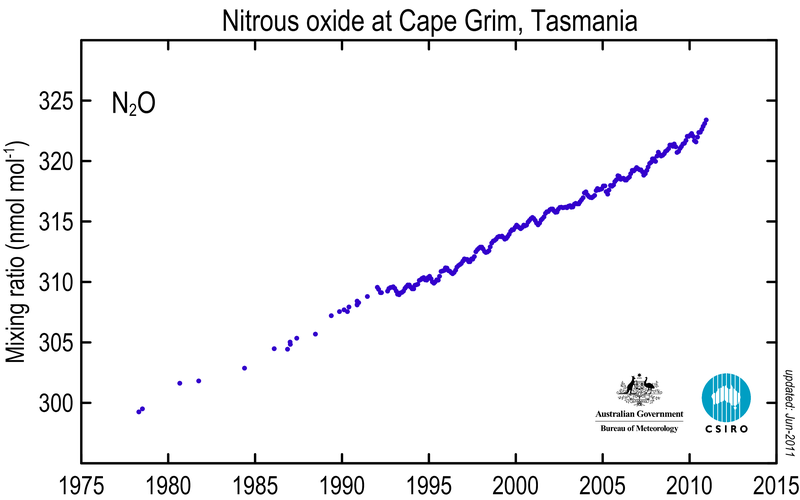 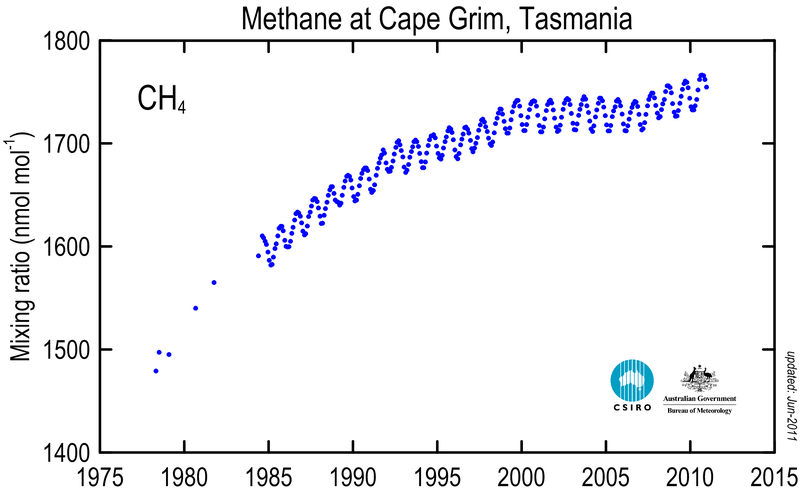 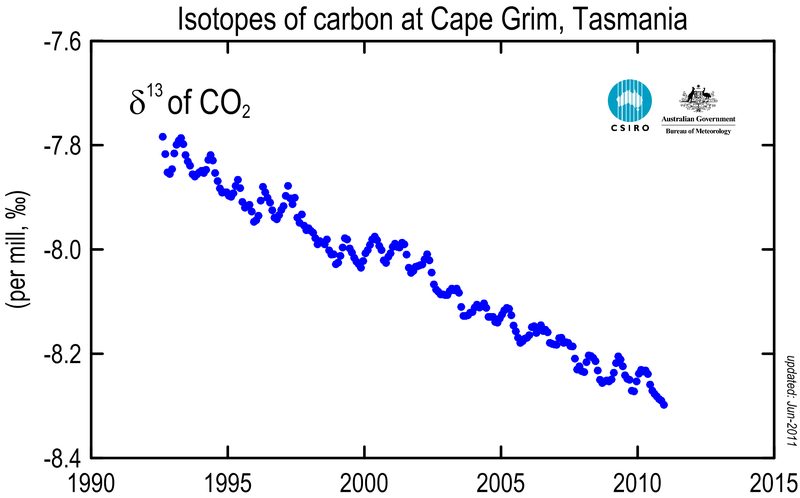 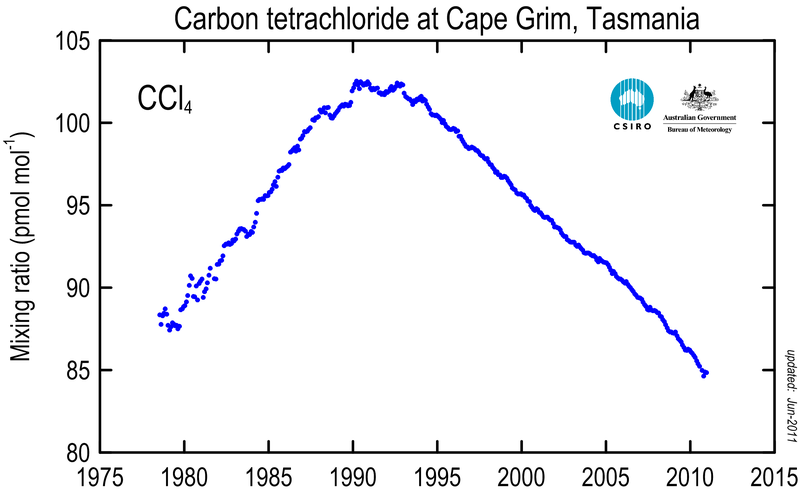 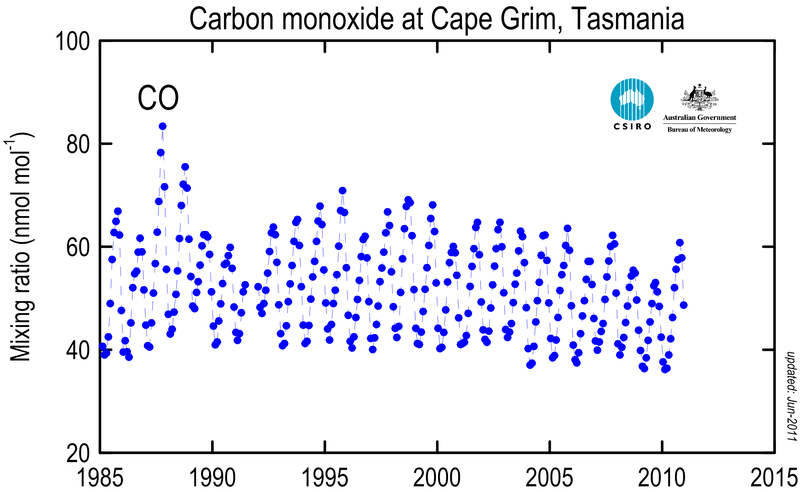 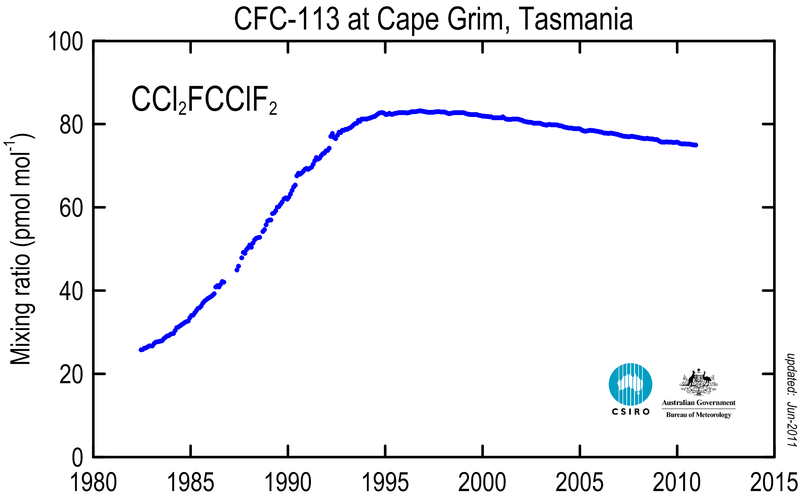 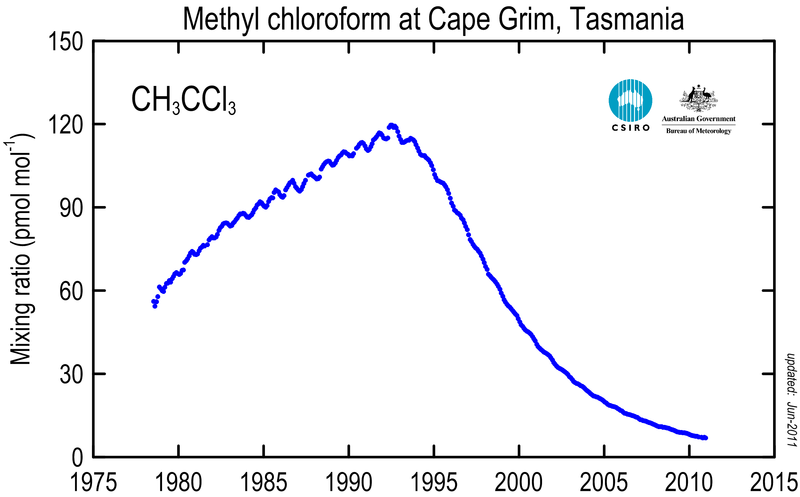 These graphs show changing atmospheric concentrations of key ozone depleting gases, greenhouse gases and related species, as measured at the Cape Grim Baseline Air Pollution Station in north-western Tasmania. 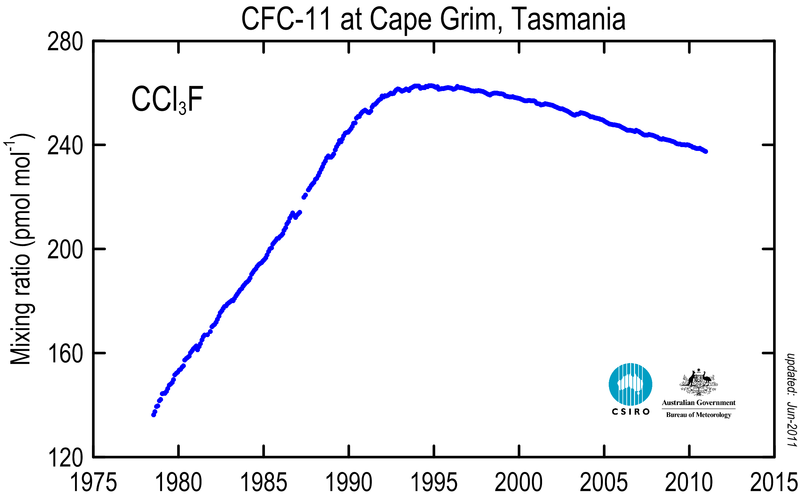 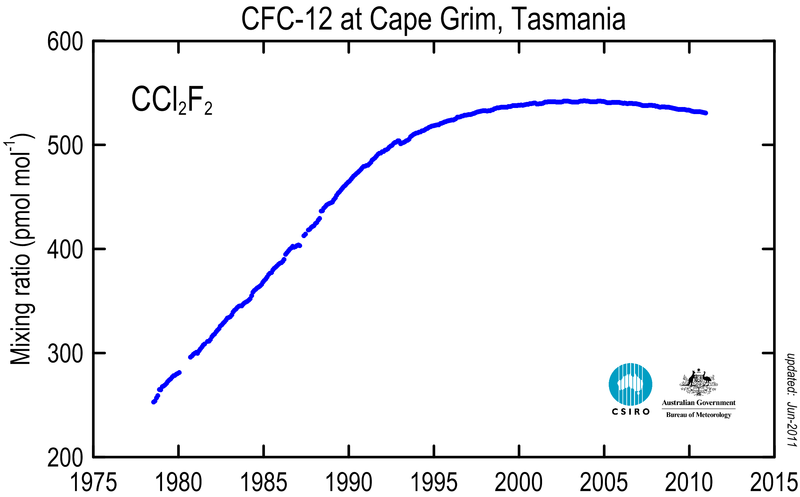 The Cape Grim program, to monitor and study global atmospheric composition, is a joint responsibility of the Bureau of Meteorology and CSIRO. 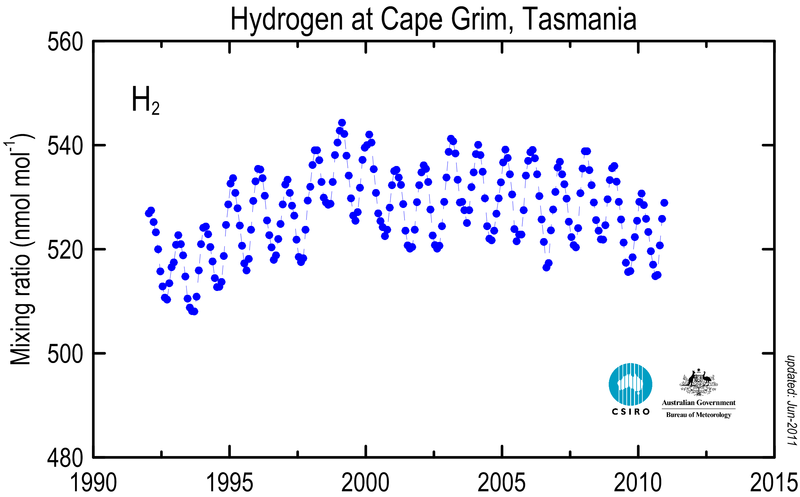 To view a large version of the graph, click on the thumbnail.